As described by Meat and Livestock Australia: "The Livestock Production Assurance (LPA) program is the Australian livestock industry’s on-farm assurance program covering food safety, animal welfare and biosecurity. It provides evidence of livestock history and on-farm practices when transferring livestock through the value chain." You can access more information on the Meat & Livestock Australia website. Who do I contact to ask a question about LPA? If you can't find the answer to your question on the website (www.mla.com.au/lpa), then you can contact LPA via email (lpa@mla.com.au) or via the helpline (1800 683 111). Where do I find the LPA login page? You can access the LPA login page here. Or login with your myMLA account. Is One Biosecurity the same as LPA? No. 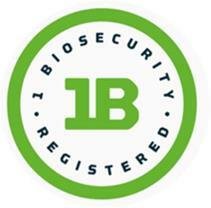 The One Biosecurity online tool is available to producers to assess and declare their on-farm biosecurity practices. Biosecurity was added to the LPA requirements as of 1st October 2017. One Biosecurity can help you to plan for and meet the LPA biosecurity requirements, by completing a farm biosecurity plan. You can find more details about the biosecurity requirements of LPA here. In addition to generating a farm biosecurity plan, One Biosecurity allows you to assess your level of general farm biosecurity as well as for specific endemic diseases. You can choose to share this information via the online tool, which is designed to provide more detailed biosecurity and animal health information to assist producers in making more informed purchasing decisions. If I am registered with LPA and One Biosecurity, will I be audited twice? Both LPA and One Biosecurity are auditable programs. One Biosecurity will recognise LPA audits for general farm biosecurity, but further details may be required to verify additional claims made within the One Biosecurity online tool. For example, if you have completed the specific endemic disease risk ratings within One Biosecurity, these require additional verification.